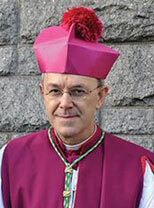 FEATURING: Bishop Athanasius Schneider, Vatican journalist Edward Pentin, Remnant Editor Michael J. Matt, Remnant lead columnist Christopher, as well as priests from the SSPX, the FSSP, the ICK and so much more! Enjoy 10 full-length video addresses from our featured speakers. Videos will be made available shortly after the actual presentation.